At The Balloon Shop we believe that balloons make you smile and that’s why every special occasion should be celebrated with them! 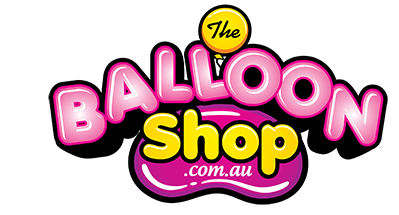 Whether you’re looking for a gift for a loved one, throwing a kids party or are looking for corporate balloons to suit a work function. Check out our great range of personalised balloons bouquets for every occasion. We cater for birthday, get well, I love you and new baby bouquets. As one of the largest supplier and most trusted delivery service, we have made hundreds of custom balloon arrangements for every occasion. We are committed to making and delivering your next gift one to remember. We deliver helium balloons across the Sydney CBD and a 15km radius. No event is too big or too small…it’s just going to be better with balloons! If you wish for us to make a customised bouquet that you don't see on our site, simply give us a call on (02) 8957-7893 and we will be happy to give you a quote and get your balloons straight out to you. Here at The Balloon Shop we strive to make your shopping experience as cost effective as possible. When you order from us you can have your helium balloons delivered within the Sydney CBD and a 15km radius in no time. Should you wish to have a delivery outside of this radius or are unsure if we deliver to your location please call us on (02) 8957 7893 to discuss with one of our friendly team. Simply place your order now and have your superb bouquet delivered within a matter of hours. Select from our great range of bouquets or call us to have something made to special order. We look forward to hearing from you.